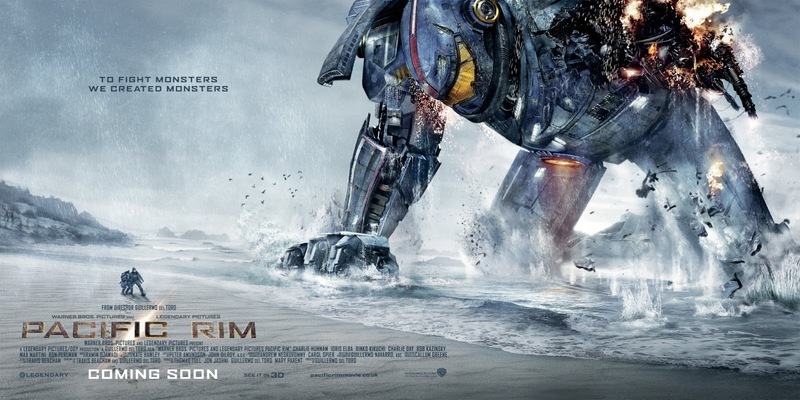 PACIFIC RIM is a fraking audio visual juggernaut! It’s the most impressive live action anime yet. Big, dumb popcorn entertainment aimed at the 10 year old in all of us. An eye candy saturated behemoth of creative staging and creature design. This is sci-fi spectacle so massive in sensory scope and meticulous framing that the rich beauty of its operatic staging leaves you in a spellbound trance. It’s a juvenile enchantment that makes it easier to over look the simplicity of the story, creaky dialogue and robotic lead performance. Appropriately light in plotting, all you need to know is the year is 2020 and beneath the ocean’s floor an inter-dimensional breach has opened a doorway between worlds allowing colossal monsters tagged as ‘Kaiju‘ (Japanese for “Strange Beast”) to ravage Earth’s largest cities. Securing our united planetary defense, Godzilla sized mechanical suits called “Jaeger’s” (German for “Hunters”), have been assembled. An elite team of pilot’s are recruited and for several years now the mighty battle has raged. Problem is the apocalyptical creatures are evolving. Writer/Director Guillermo del Toro (PAN’S LABYRINTH, CRONOS) consciously set out to make a Saturday Morning cartoon come to life and succeeds in his Monsters versus Mech Warriors beat down epic. This is modern day spectacle to rival gladiatorial arenas of ancient Rome or at least the epic chariot race of William Wyler’s BEN-HUR. 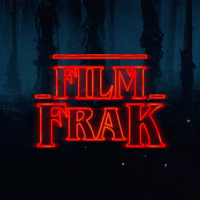 A captivating wonder, the onscreen smash, bang boom pounding of Mack truck sized metallic fists on reptilian flesh pumps the adrenal glands. It’s a simple, primal pleasure. The relentless wave of destruction impressively avoids what Del Toro calls that ‘Car ad appearance”, every frame converges to create a fully realized universe dripping in aesthetic enhancements. The original creature design and rain soaked ILM effects are imaginatively familiar aiding the consequence free fun that starts wide to make sure you soak in the locations. The kinetic cinematography of Guillermo Navarro (PAN”S LABYRINTH, JACKIE BROWN) uses a vibrant palette of color and light, the Hong Kong sequences being a superb example of the artistry. Managing to keep the gargantuan action clearly in frame, there is never a moment where you don’t know exactly what it going on. The sheer imagination that has gone into every pixel of this unique digital marvel is an impressive feat amplified by the most 3D since THE ADVENTURES OF TINTIN. Adding that extra layer of immersion the soundscape uses the full decibel range to match the titanic on screen clashes. German composer Ramin Djwadi’s (IRON MAN, GAME OF THRONES) power chord score having a similar effect to what Daft Punk did with TRON LEGACY. Extravagant motion picture montage aside, there is no denying the film is also frustratingly narrow minded in its scripting. Telegraphing every single plot point ahead of time removes any surprise in narrative making it hard to find humanity in the tale or connect emotionally with the hollow characters. The unfathomable Hollywood ending is unsurprising but certainly unwelcome. Travis Beachman’s (CLASH OF THE TITANS) skeletal story works to keep the pace moving but annoyingly there are at least two primary character sub plots that hint at deeper, more thoughtful ideas that inevitably fallback on tired, established genre tropes. Mako Mori (Rinko Kikuchi) is written as central hero and she holds the screen well. We’re shown she is the smartest and strongest, yet at every obstacle she needs protecting and nurturing. Mako’s stark flashback origin too, hypnotic in its cold, emotive presentation is a highlight of the film. Flawless as Mana Ashida’s performance as the young Mako is, the entire scene is sabotaged by the predictable arc resolution. Charlie Day’s mad scientist Dr. Newton Geiszler too leads into possibly fascinating ground but it’s abandoned in favor of limp plot necessity. Thankfully the comedic relief of Day’s man child genius opposite the exaggerated guffaws of his nemesis companion Gottleib (Burn Gorman) offers compensation. The glaring negative is our leading man Charlie Hunnam. His duck faced, pouty Casper van Dienisms dragged in from SONS OF ANARCHY distract with their awkward posturing and bland sincerity. In general the remaining cast members exceed expectations and again fog the flaws. 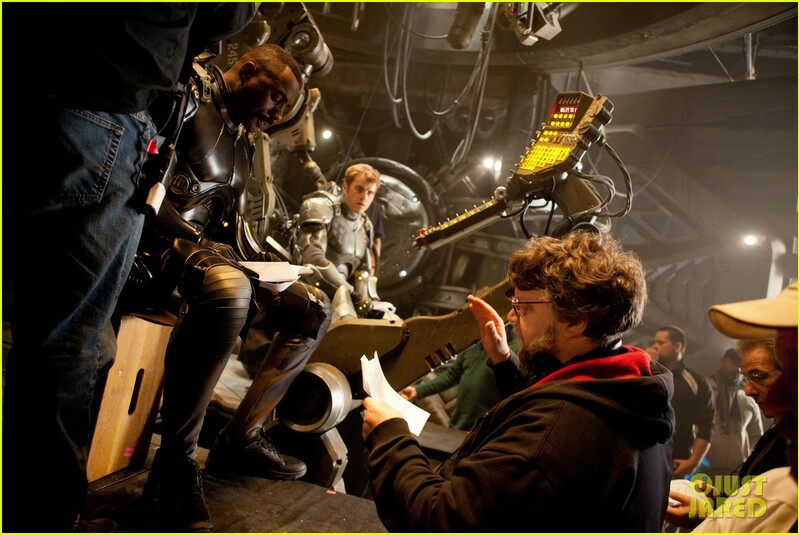 As Stacker Pentecost, Idris Elba (PROMETHEUS) commands the screen with bombastic authority. 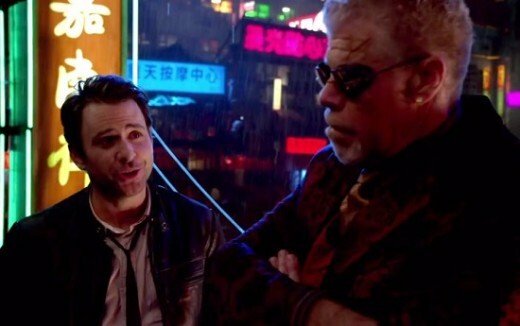 Clifton Collins Jr. (as the sideburned HQ tech wiz Tendo amuses and Ron Perlman steals the show as the shady black market creature parts dealer Hannibal Chau. Personal note, it would have been nice if the mute Russian duo had more to do, especially considering how much they scream for a Tekken, Gunjack moment. I think everyone has their own lines on where disbelief can no longer be suspended in these types of “ride” experiences. If you were the type of kid whose action figures came to life and you dreamed of convoluted plot lines that led to world shaking confrontations then you will probably appreciate this blockbuster. Exactly as advertised, if you want to see monsters maul with mecha you get your money’s worth. I disagree with everything you say in this review. No that’s not true at all. I feel TWO quotes would have made this a much better review. “The glaring negative is our leading man Charlie Hunnam. His duck faced, pouty Casper van Dienisms dragged in from SONS OF ANARCHY distract with their awkward posturing and bland sincerity.” this made me laugh. I also hate the way he walks. What a jerk. Fun Fact: I did learn that the cinematographer has the same first name as the director. That’s neat. Thanks for the feedback JB. Considering I saw the film with you I know that “I disagree with everything you say in this review” is to be taken as a compliment.